Sustainable Seafood | Brim hf. 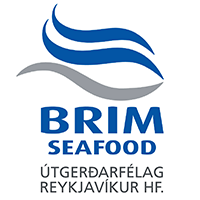 Brim Seafood manages one of the most modern fishing fleets in Iceland and conservation of the environment has always been among the highest priorities because Iceland is a country that depends highly on natural resources and their sustainable management. We are aware of the dangers that over fishing poses to the environment as well as the economy. We are thereby committed to the sustainable and responsible harvesting of Icelandic fisheries and seek to be in harmony with the environment. We are currently a stakeholder in the ISF (Iceland Sustainable Fisheries) which is a signatory affiliate with the Marine Stewardship Council. The MSC is a voluntary certificate program that upholds the strictest international standards ensuring sustainable fish stocks, minimized environmental impact and effective management for fisheries around the world. Secondly, in order to avoid overexploitation of fish stocks, the Total Allowable Catch, TAC, is calculated and enforced in accordance with the Directorate of Fisheries guidelines which are supplemented with research from the Marine Research Institute of Iceland. This allows for carefully measured fish stocks that will reduce any possibility of overfishing. Third, we are aware of the dangers of climate change and what consequences it can have on the ecosystem and understand that being environmentally friendly is good for both the climate and business. We therefore seek to minimize CO2 footprints to our fullest extent in the supply chain.